We lose the great ones far too early. The King of all, forever remembered...eternally inspiring. 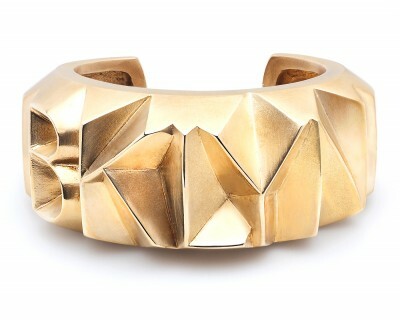 Boris Goynatsky's gold plated "BKLYN" cuff. I'm not usually a fan of stones and hardly work with them but this watermelon tourmaline is simply stunning.